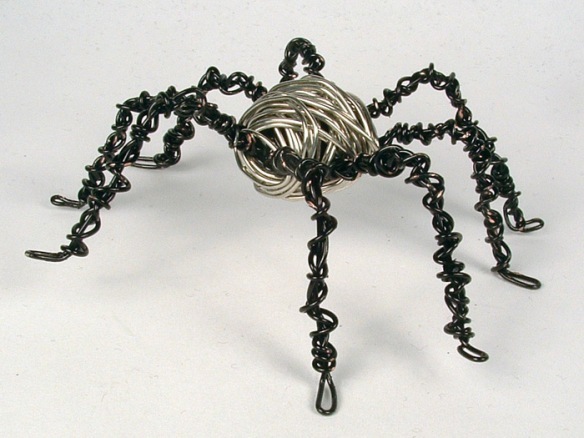 I was keenly interested in how it was made and I began to search for instructions. 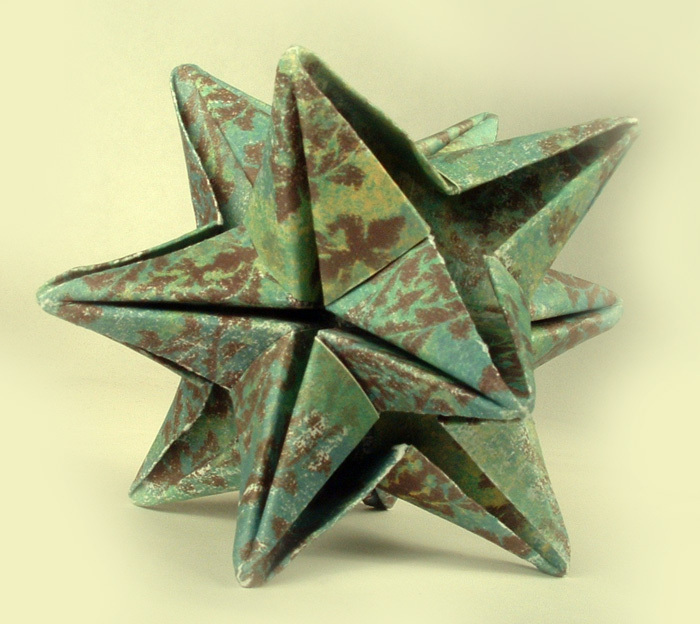 I found that the process was called 3D origami and involved folding small rectangles of paper into triangular pieces that could be interlocked to build figures of amazing complexity. Of course I turned to youtube and began to look for instructional videos. I find that I can learn better by watching than by reading complicated directions. So I will give links to a couple of videos that were very helpful in the process of making these intricate Lego-like pieces. There are many other videos and each one has something different to show. Watch as many as you can. 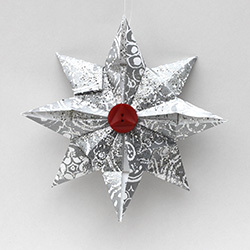 I hoped that I could use this folding technique in our Christmas challenge and I found this video on how to make a snowflake with a little less than 50 pieces. It’s a good way to learn how the process works and still have something creative to show for your time. The video is well done, but I found that I did not pay enough attention to the position of the pieces as they were interlocked. The second color is placed differently than the first. 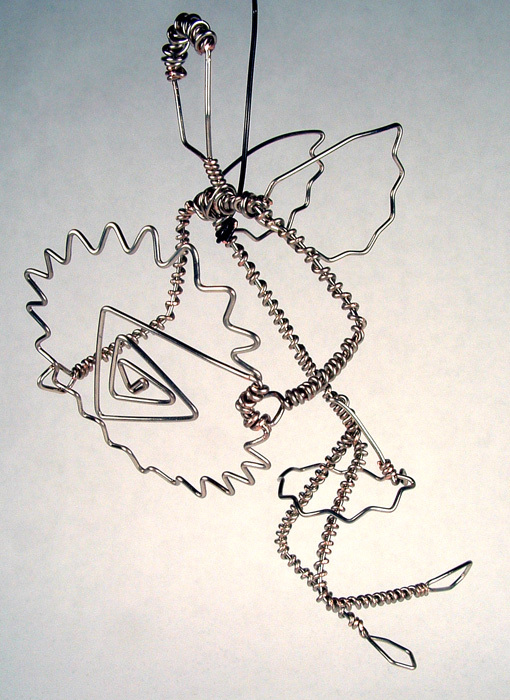 If you look closely you will see that how the pieces are shown is how they are attached to the model. 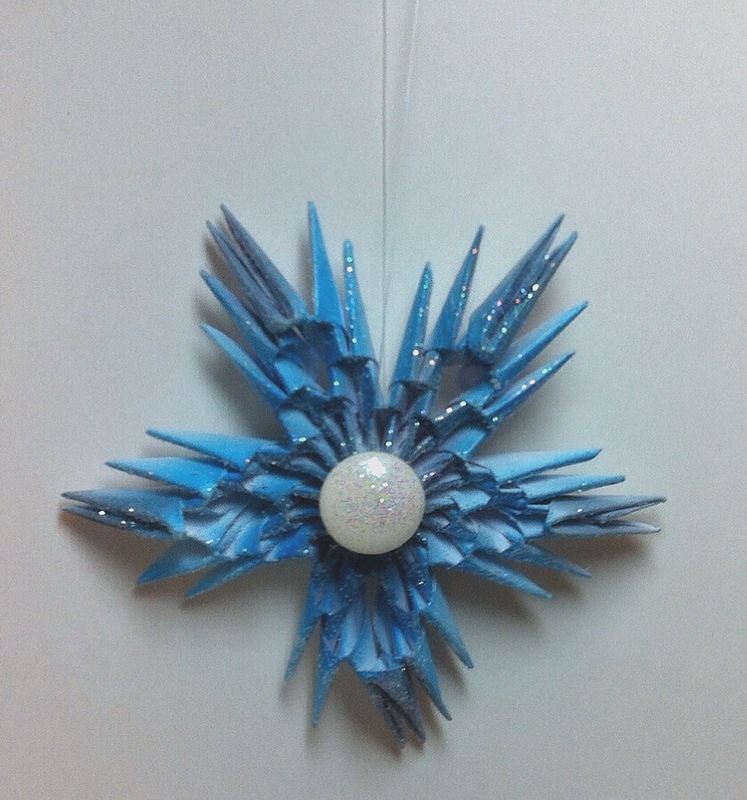 I made my first snowflake using two colors of copy paper as shown in the video to help me understand what I was doing, but I wanted a subtler change of color on my model. I have recently discovered the Copic airbrush system and on my second effort I used that system to achieve the color and effect I wanted. I really like using markers for airbrush painting. It is easy to switch colors quickly and there is very little mess to clean up. Here is a link to a video of the air spray system in action. I attached a button to the front of the star and then used a light coating of spray adhesive to adhere some glitter for a reflective shine. 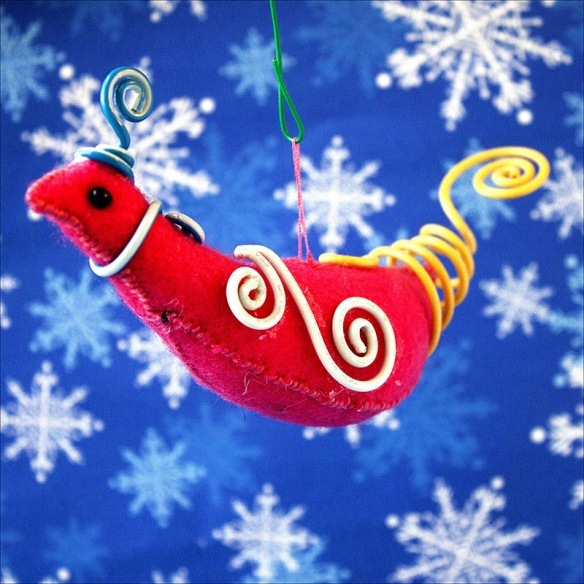 I used some fishing line to hang the ornament but ribbon or string would work just as well. 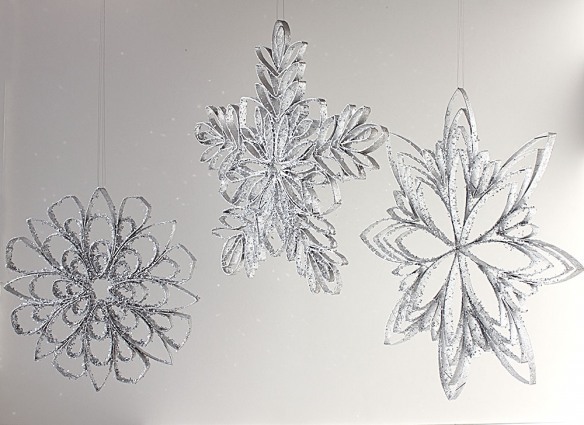 I hope you have fun as much fun making these snowflakes as I did and I will post again in four days with another project. This is another blast from the past. 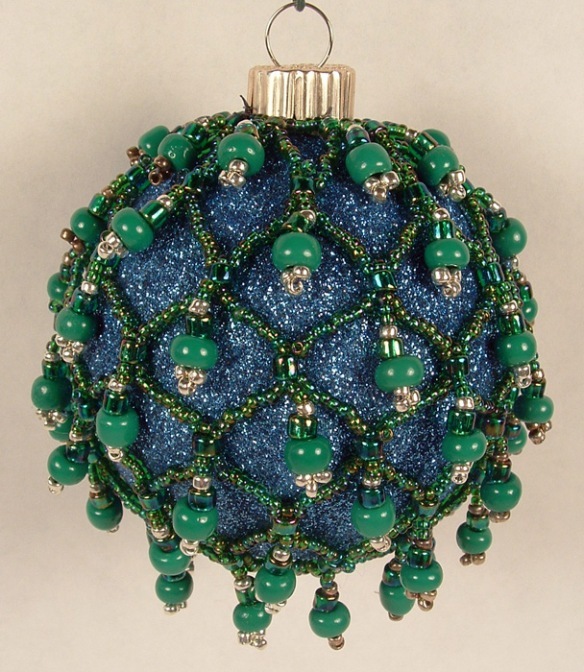 I haven’t made one of these since second grade! 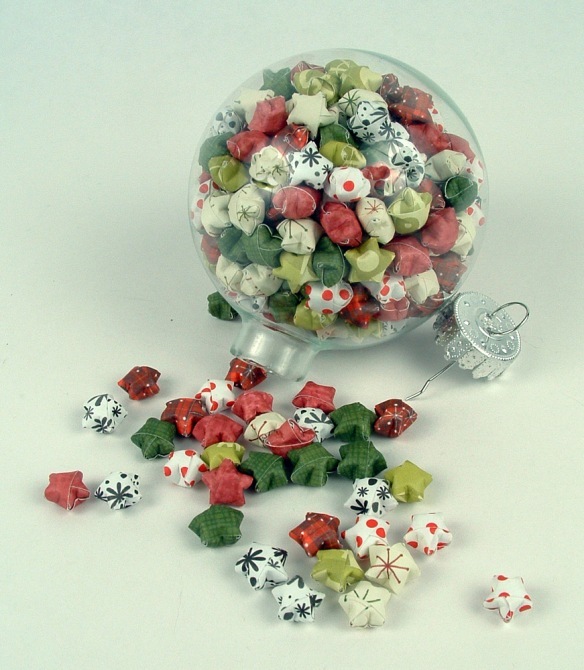 We called them Poppers, though some people call them fortune tellers, and others call them “that paper thing that you move back and forth.” For this Christmas-themed one, you get holiday messages inside, rather than the name of the boy who loves you! 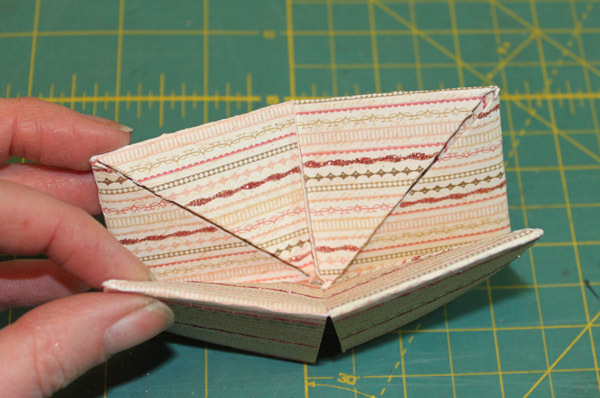 If you can’t remember how to make one from your elementary school days, here’s a quick tutorial! 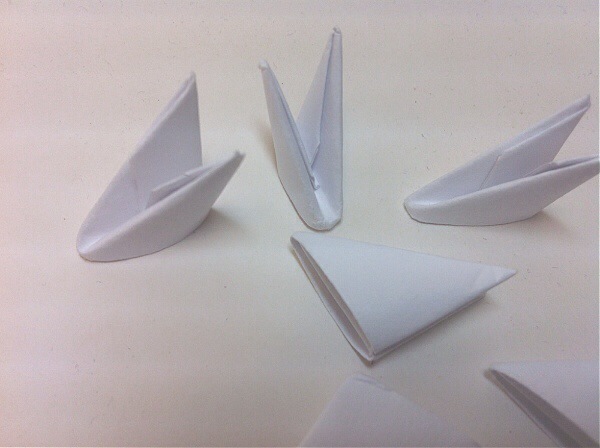 To start, cut a square piece of paper. 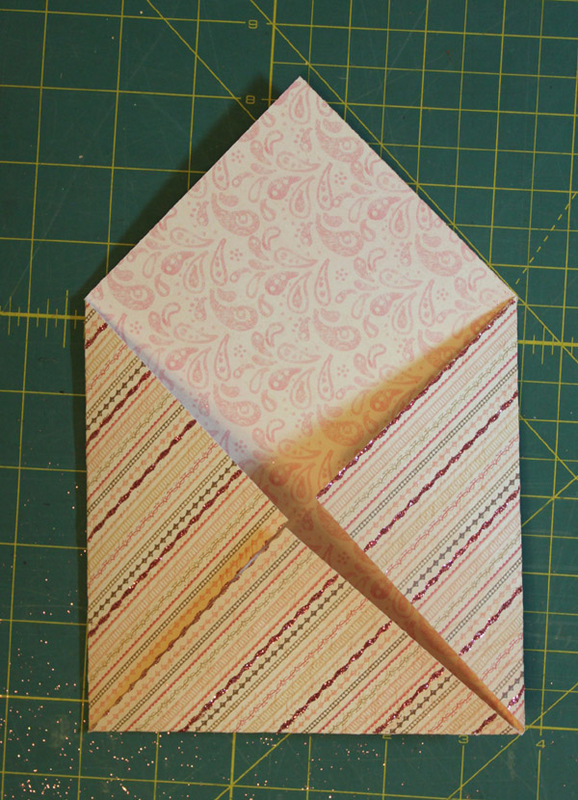 I used an 8″ square piece of double-sided scrapbook paper. It’s very pretty, but a little stiff. 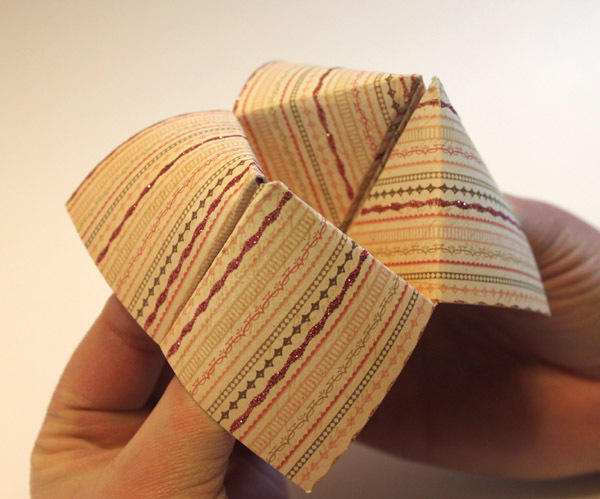 Once it’s folded in half, pop out the corners. Now you can find out the Christmas message in your future, or you can try to catch your little sister’s fingers in it! 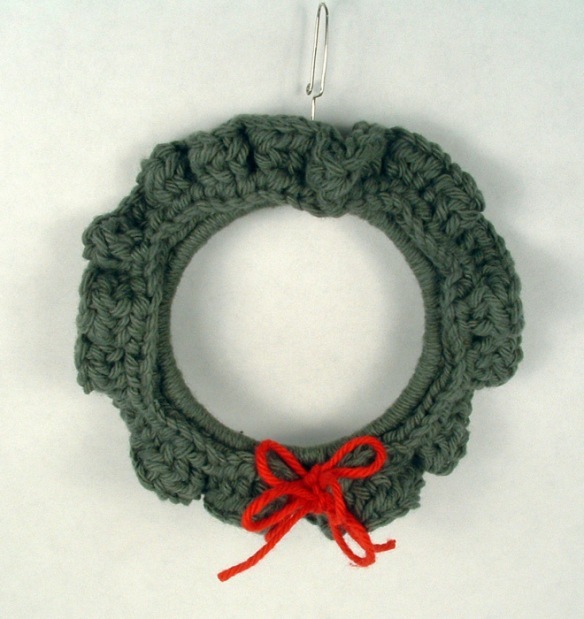 To hang on the tree, put a grommet in one corner. Merry Christmas! 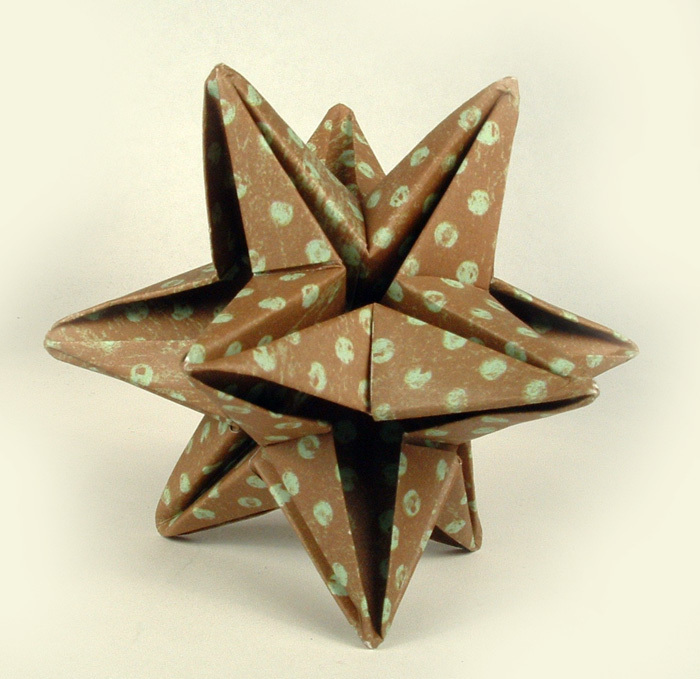 Origami star ornament made from scraps of wrapping paper. 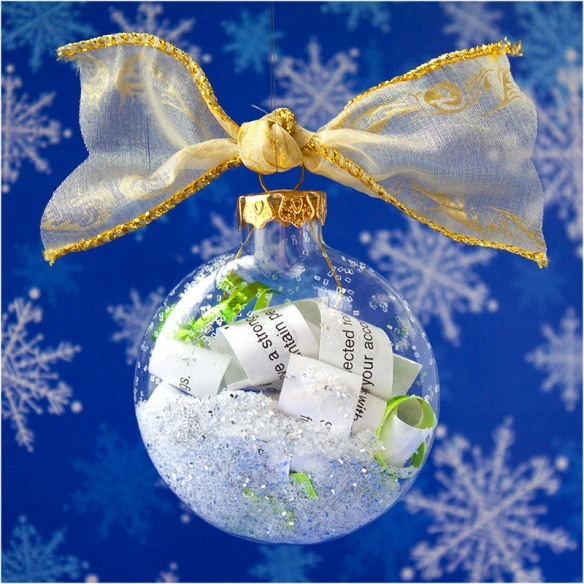 Lynne: I was hoping that since we had Teri Partridge as a guest author today with the Champagne Cork Angel, I would not be required to have an ornament. 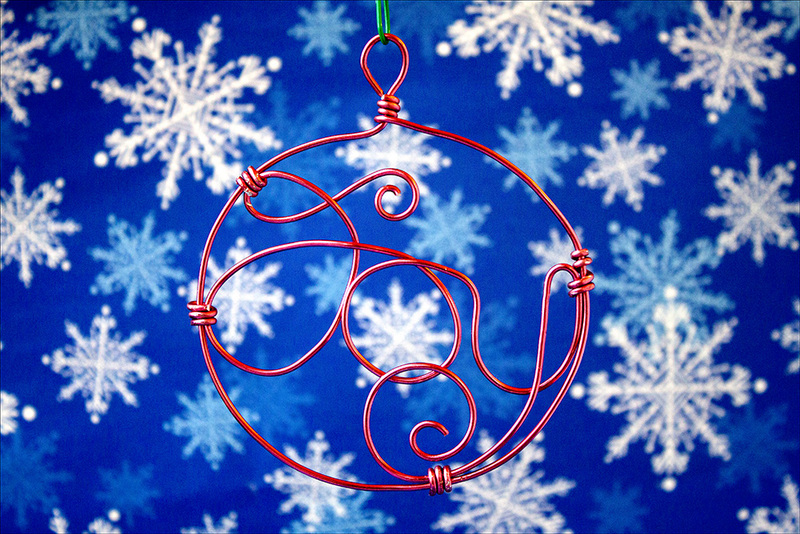 After some discussion about fair shares and obligations, here is my ornament. 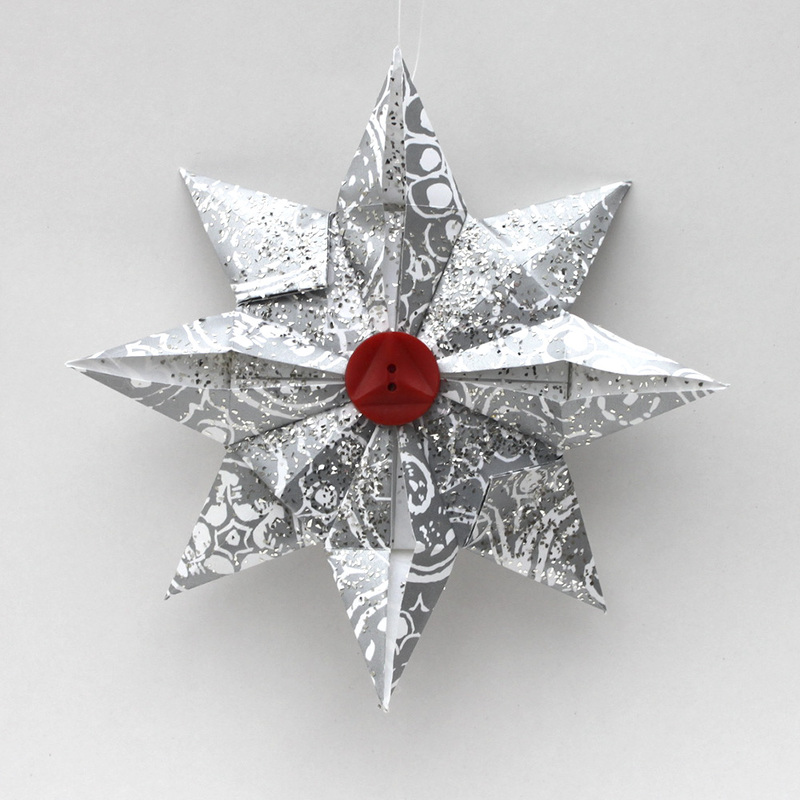 While I was cruising the net this morning for an idea for our Ornament Advent, I found an origami Christmas Star that used wrapping paper scraps. Since most of my wrapping for Christmas is done, I have lots of small pieces of paper lying around and was eager to try it. 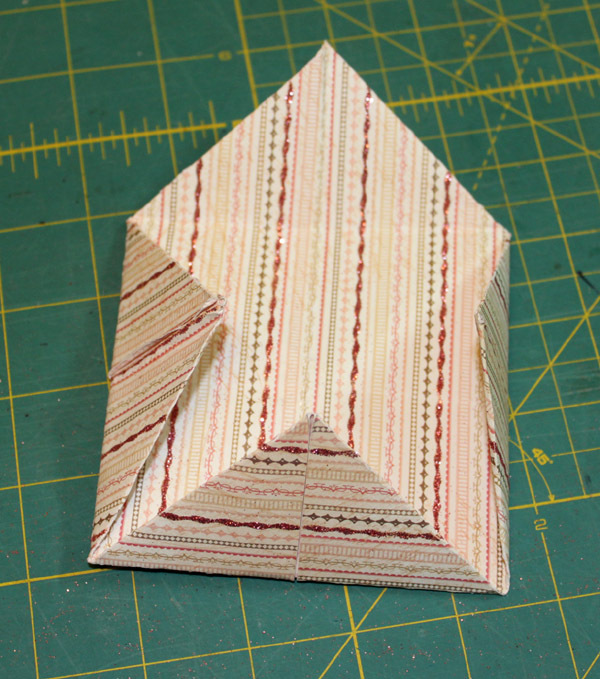 You will need 2, 6 x 6 inch squares of wrapping paper and this tutorial by Nikki, in Stitches. And that’s it. 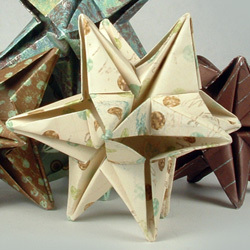 These are the clearest directions I’ve seen for origami folding and I was able to make 2 of these ornaments in about 30 minutes. Once I was done with the origami figure, I added glitter and then hot-glued some vintage buttons to the front and back. I had these buttons stashed in a jar, but you could use whatever you have on hand. I added some fishing line to hang the star and marked off another day on the calendar. At the beginning of this countdown I wrote up a list of 8 different media that I wanted to use to make ornaments. I have now arrived at paper. 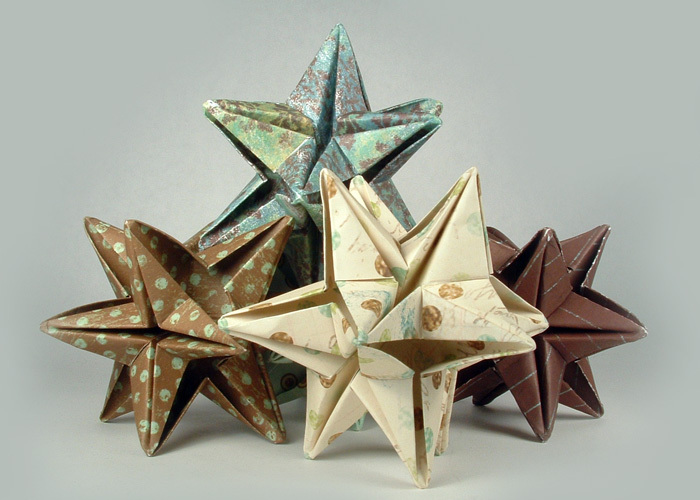 I found this wonderful video tutorial for how to make 12-point origami stars and made with some pretty scrapbook these are perfect for holiday ornaments and decorations. I have found after making them that I have a few suggestions. 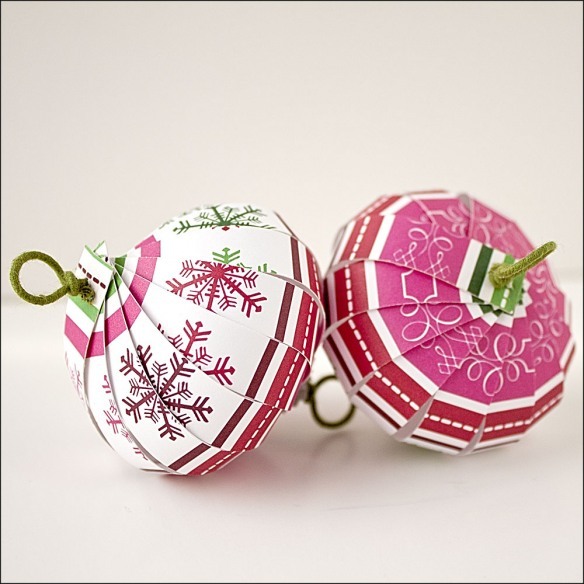 I originally thought to make these with Christmas wrap, but found that the wrapping paper is just too thin and prone to tearing to be practical. I did have some really pretty scrapbook paper in some excellent colors that was a heavier weight. 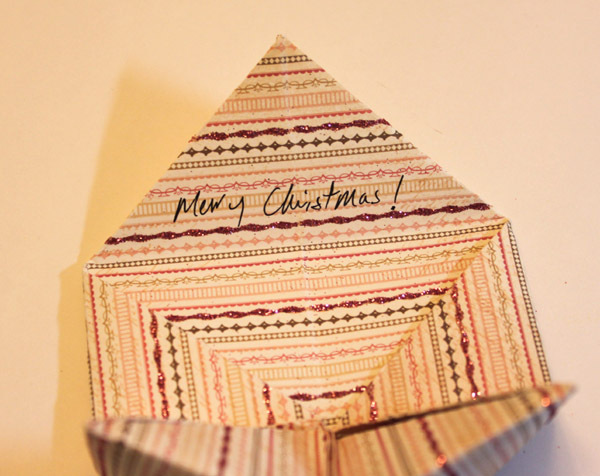 Don’t use cardstock as it will not fold easily once you get to several layers of paper. Anything in between wrap and cardstock would work very well. I also recommend using something to press the creases down such as a bone folder. 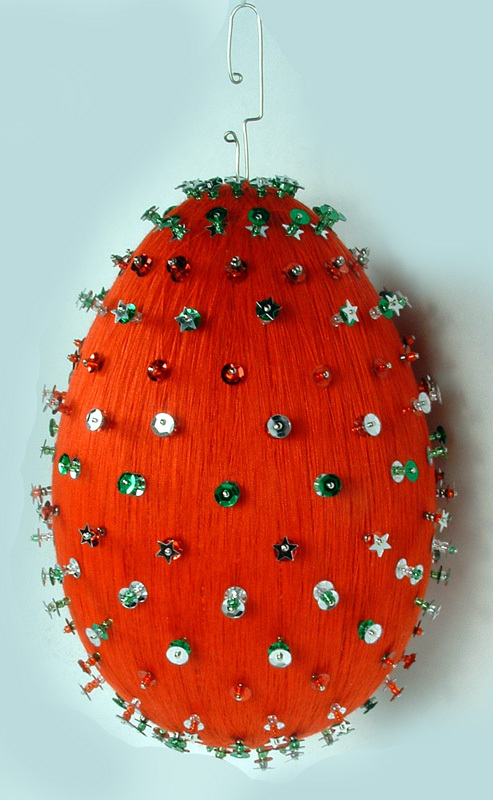 To hang these as ornaments from my tree, I am going to pull a thread through the star with a doll needle (a really long needle) and attach a hook to the thread. Voila! 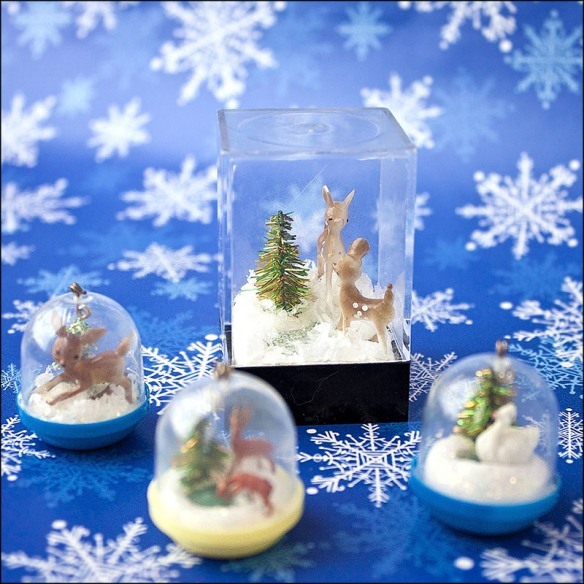 a wonderful ornament form the tree or just beautiful to set on a table as decoration. This post was edited to fix the link to the tutorial. The old link had disappeared and I was able to find a new tutorial on YouTube.